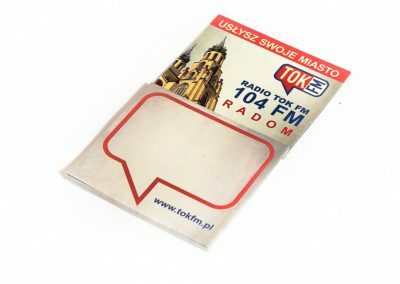 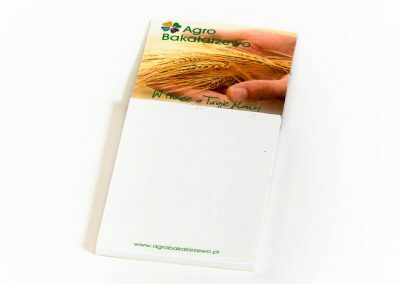 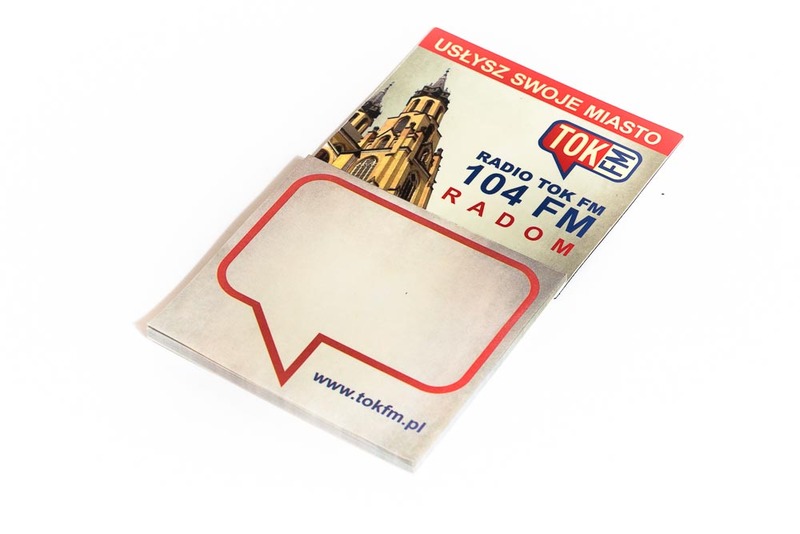 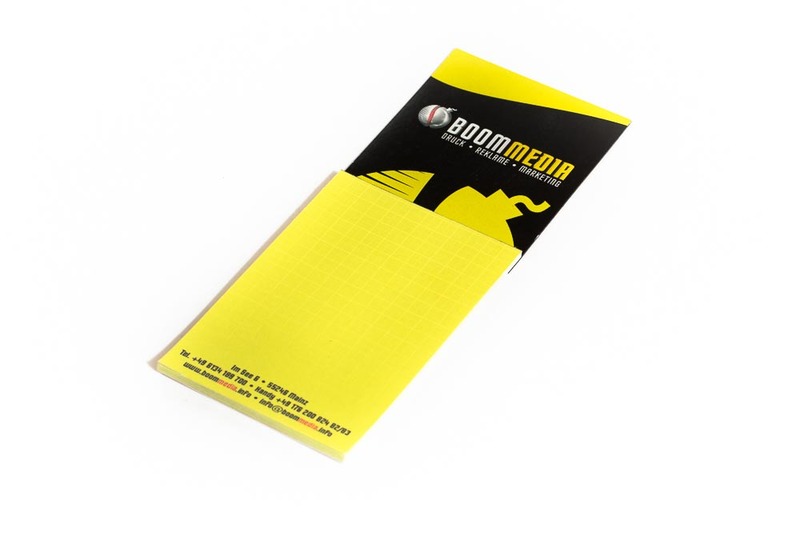 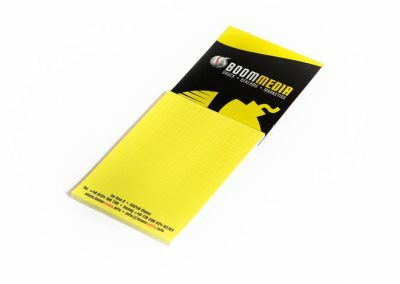 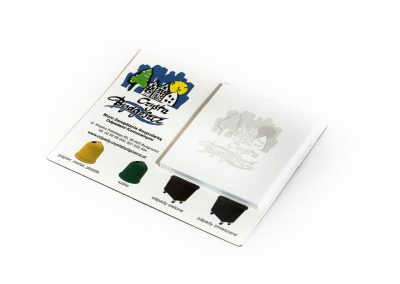 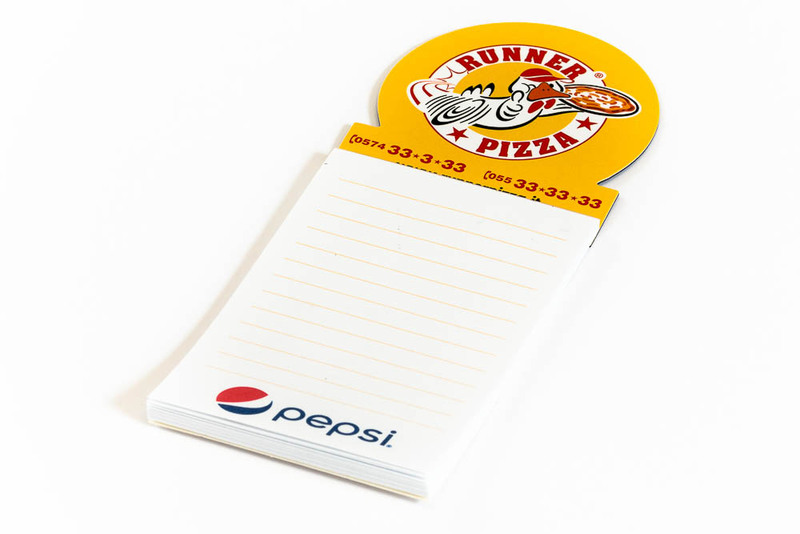 Advertising magnet with sticked notepad is a practical product that can accompany to every advertising campaign. 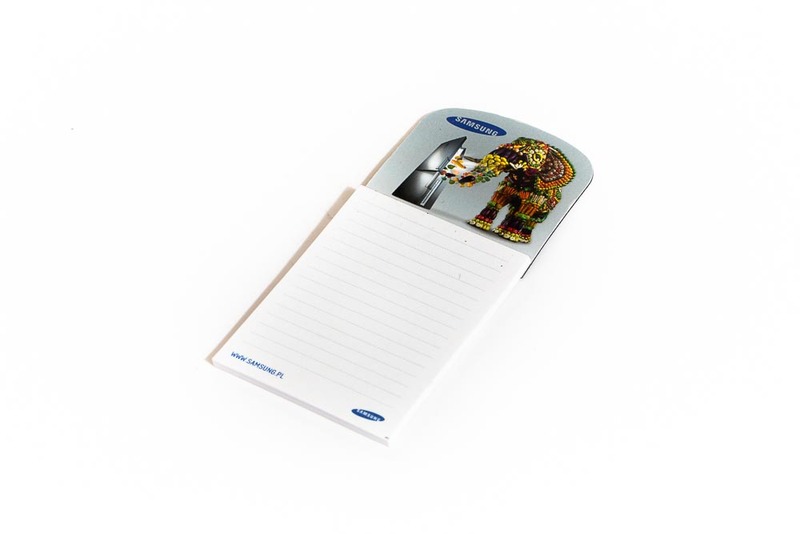 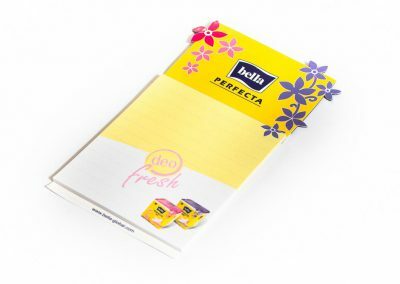 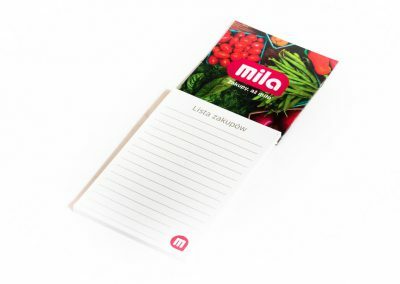 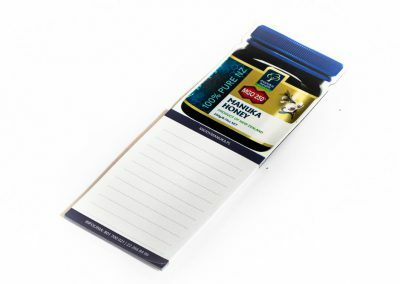 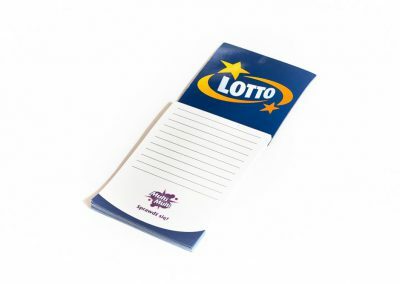 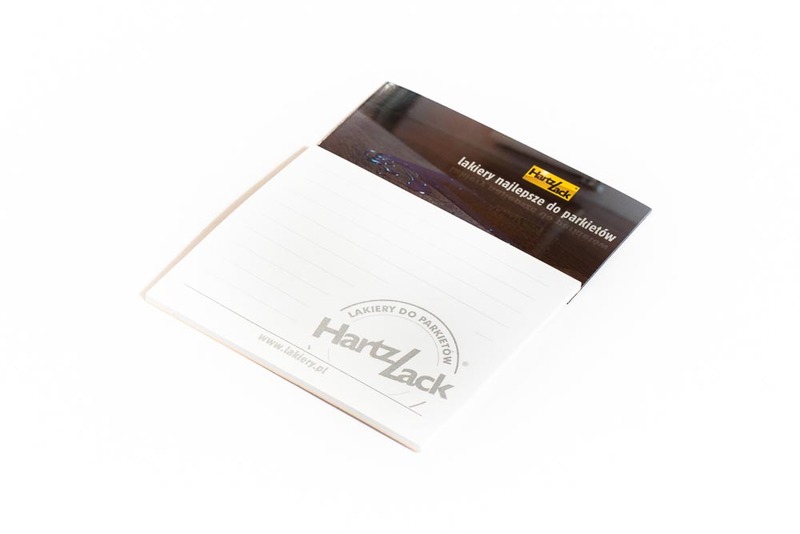 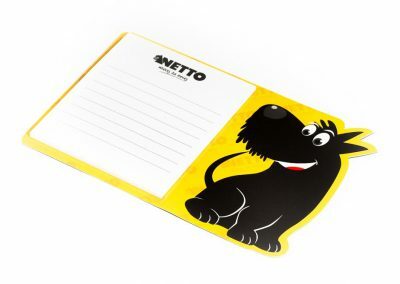 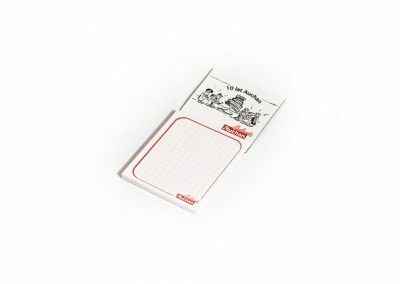 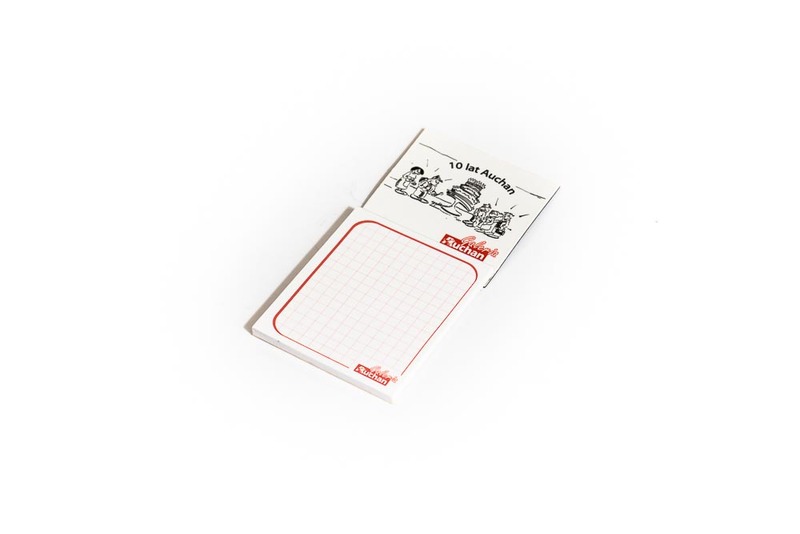 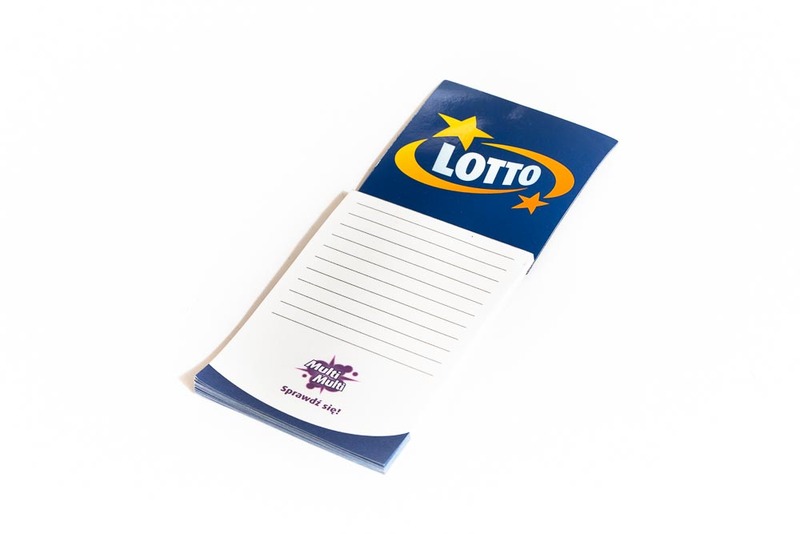 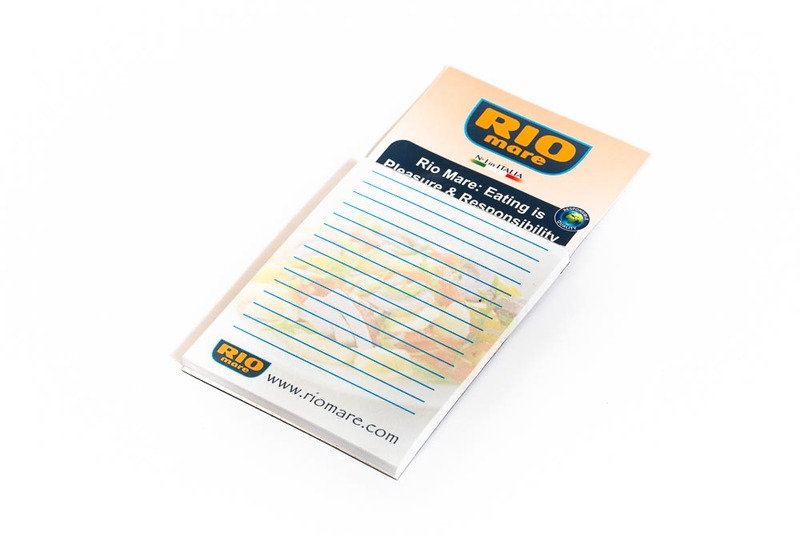 Like the other products in our offer, magnetic notepad is a gadget with an exceptionally long life. 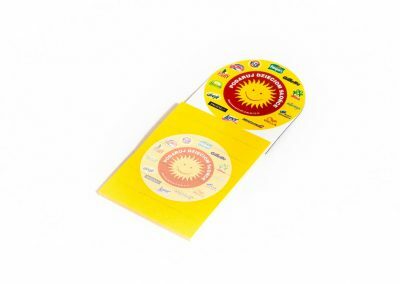 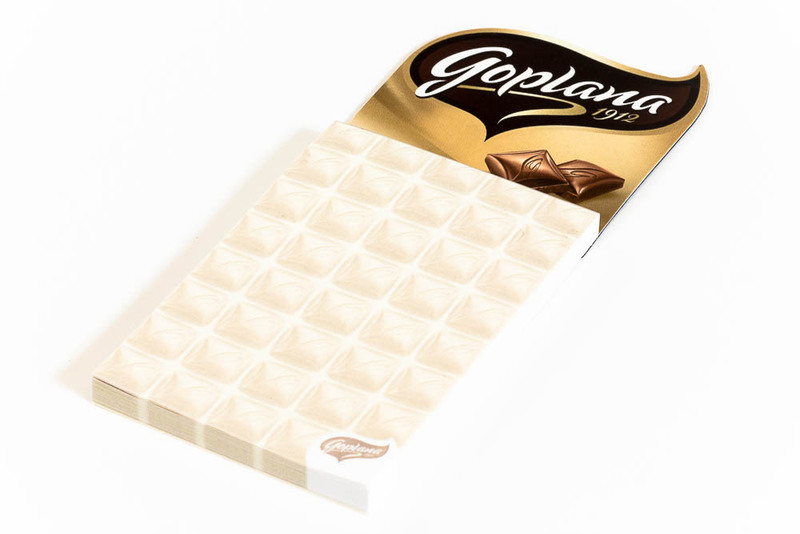 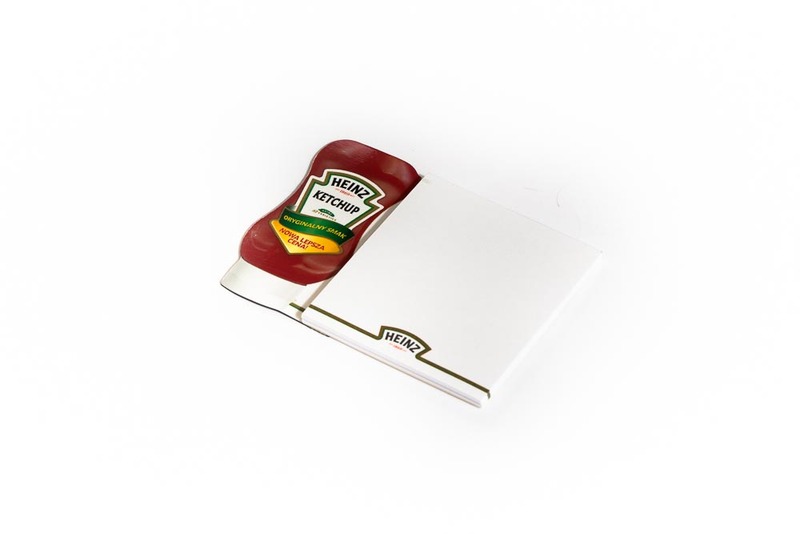 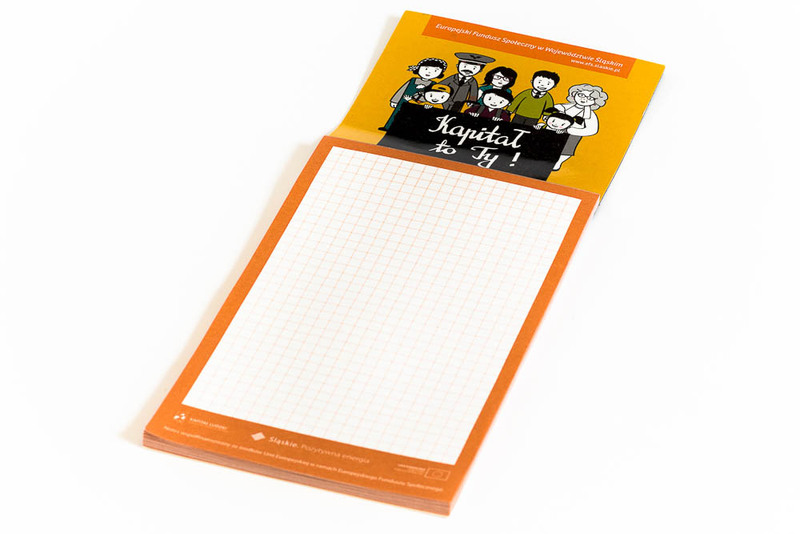 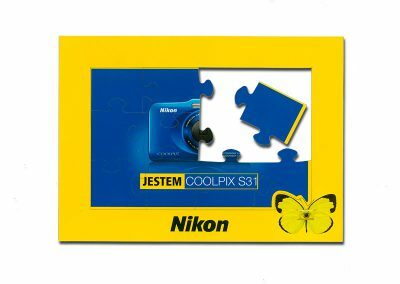 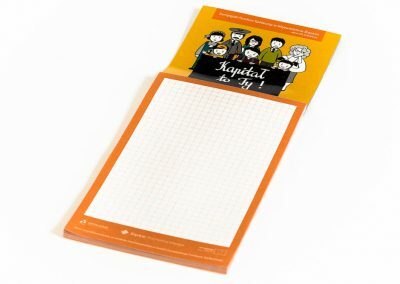 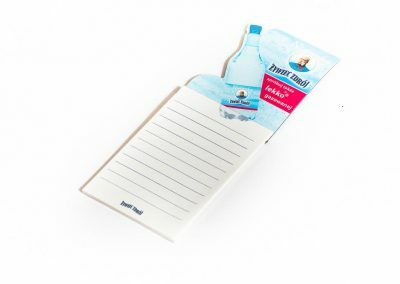 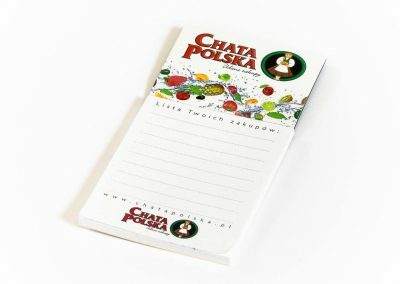 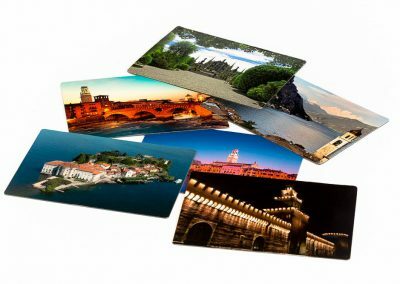 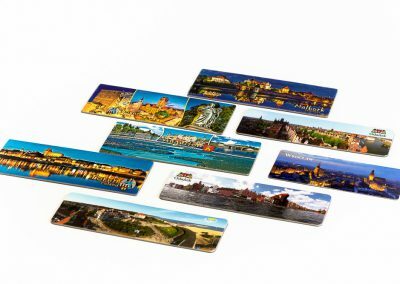 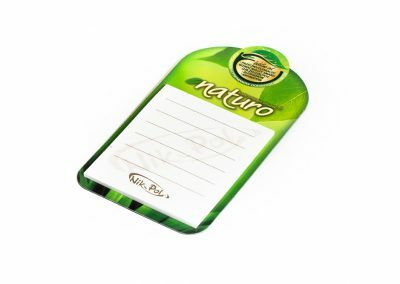 After using the notepad, advertising magnet, used in thetop, remains in the refrigerator and can be used for displaying received postcard or important messages that we should remember. 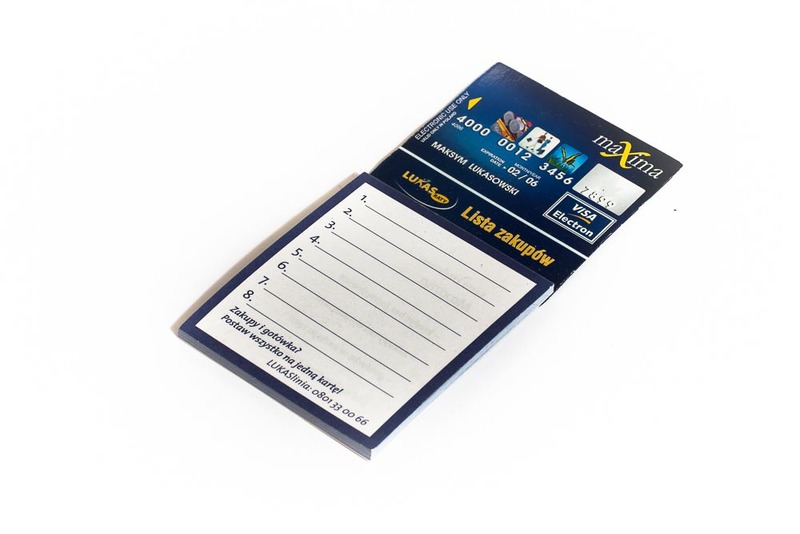 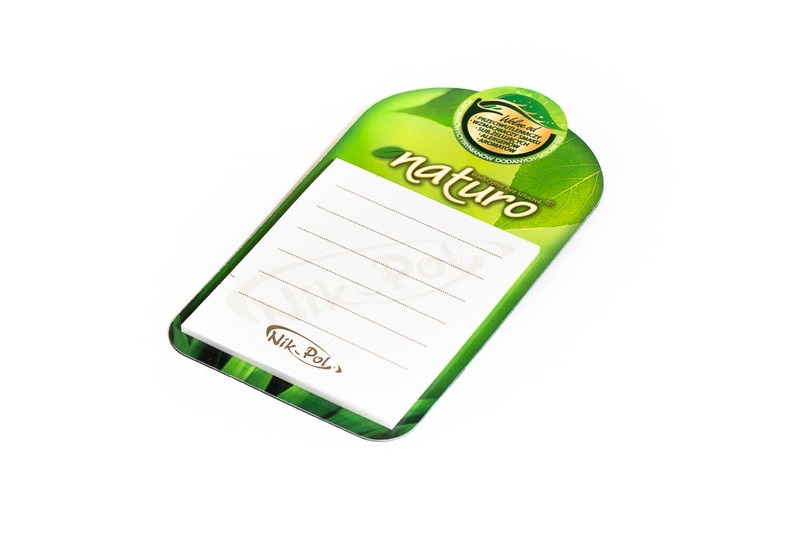 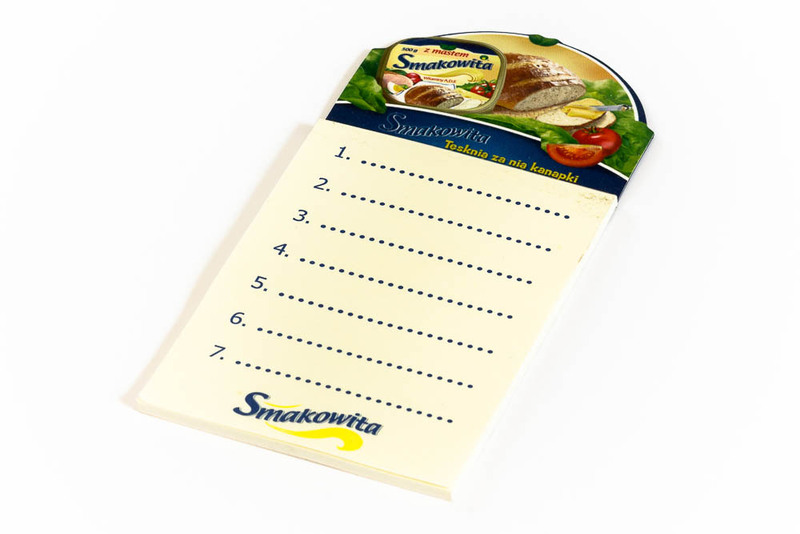 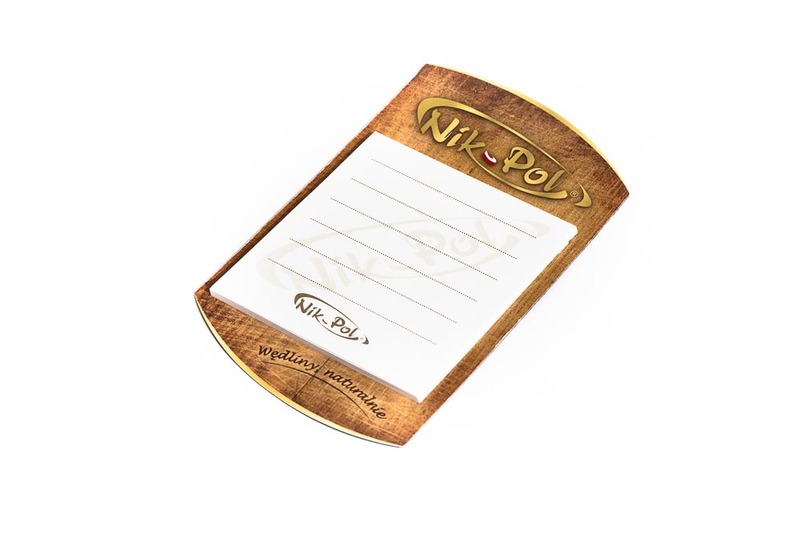 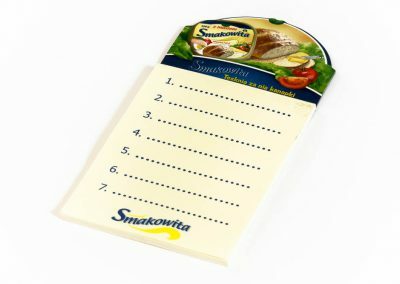 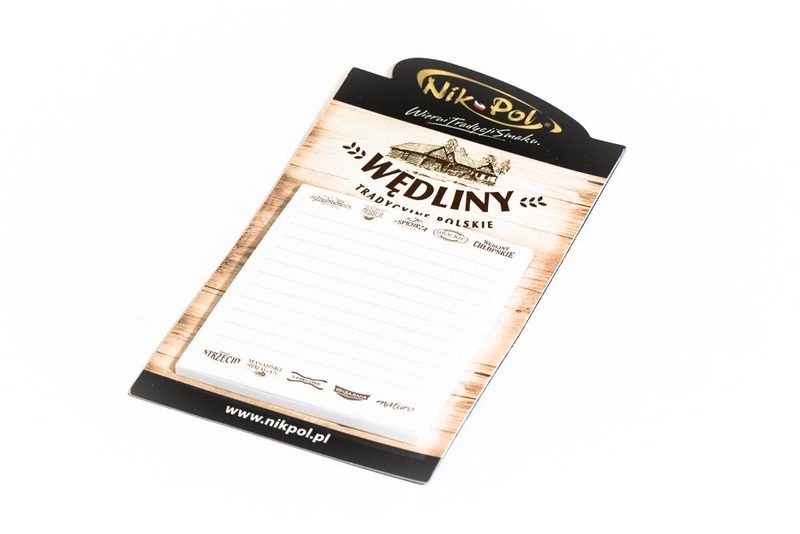 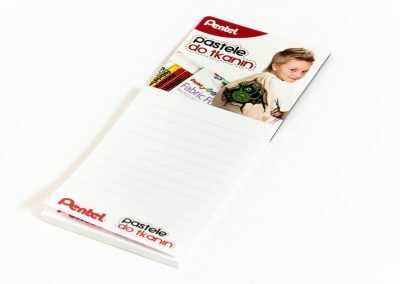 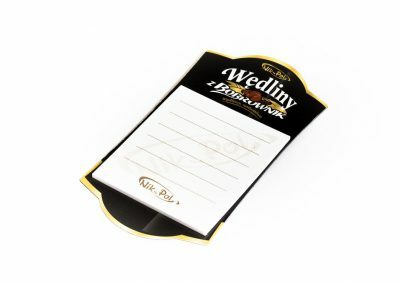 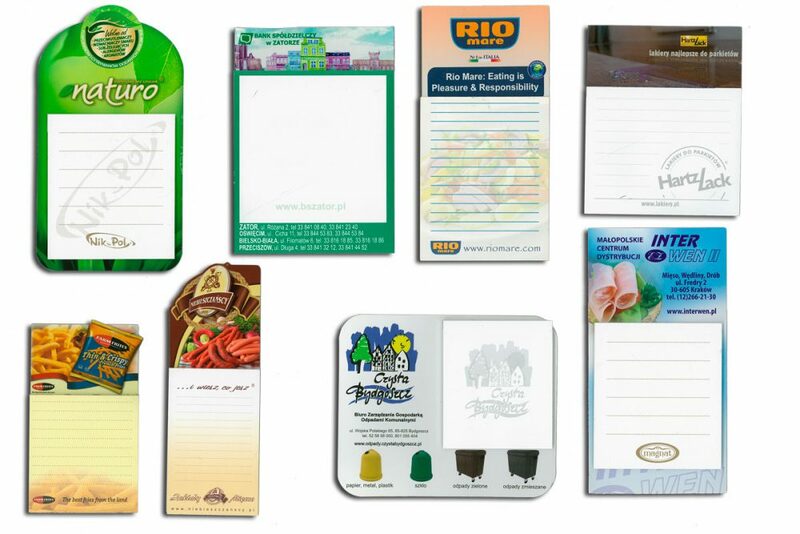 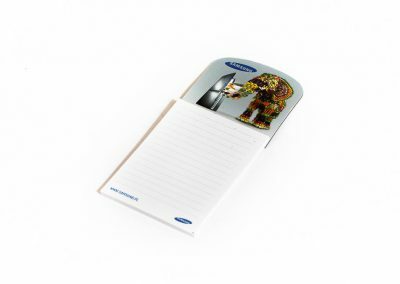 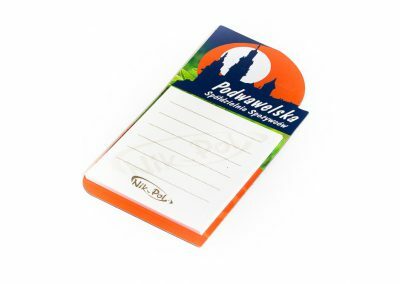 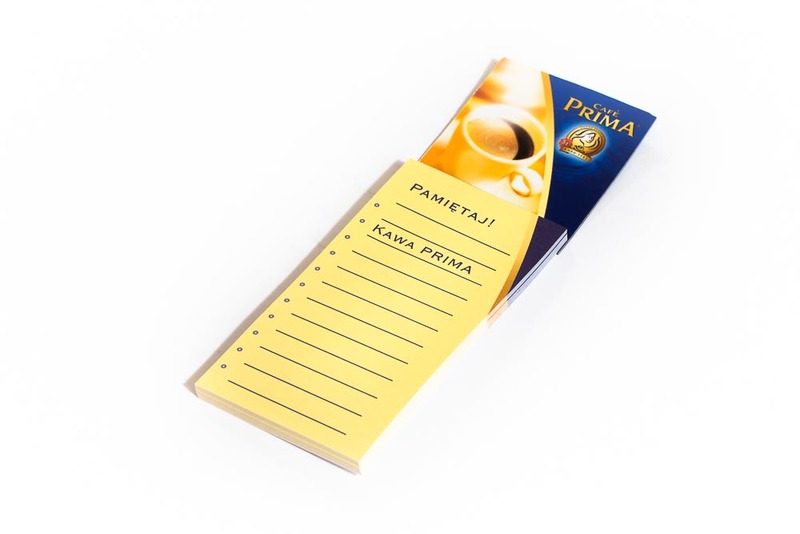 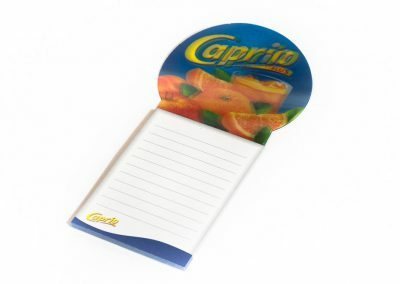 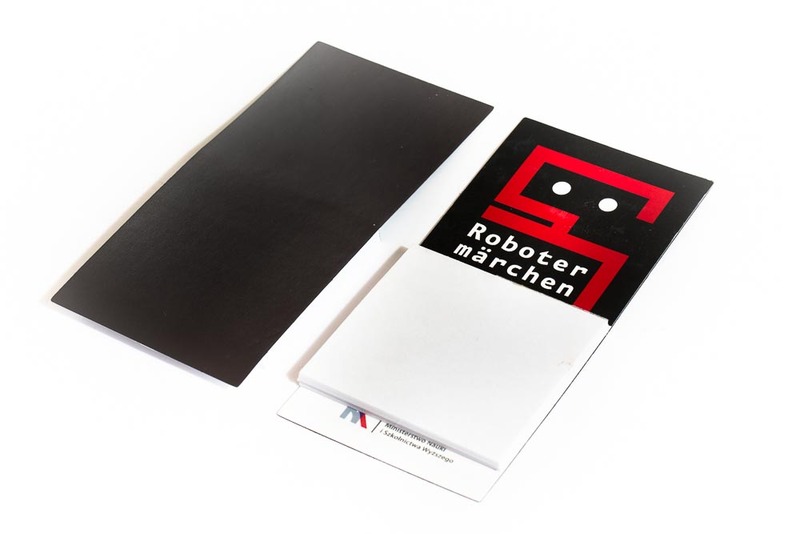 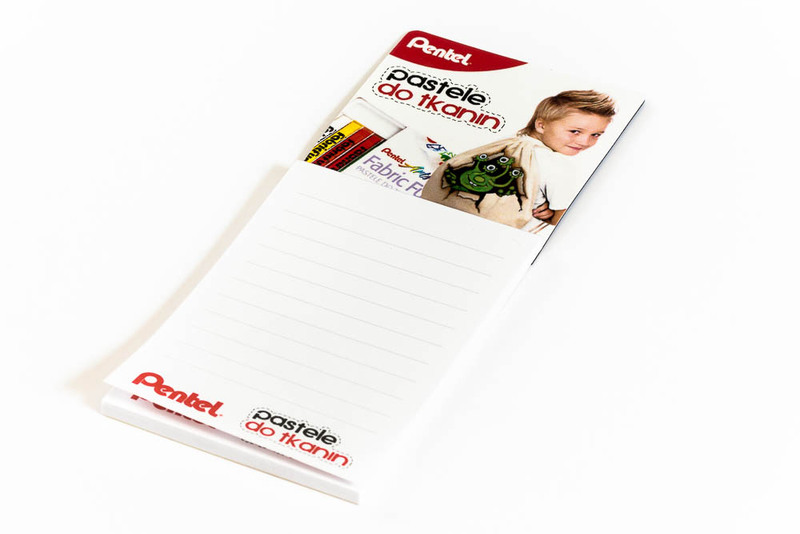 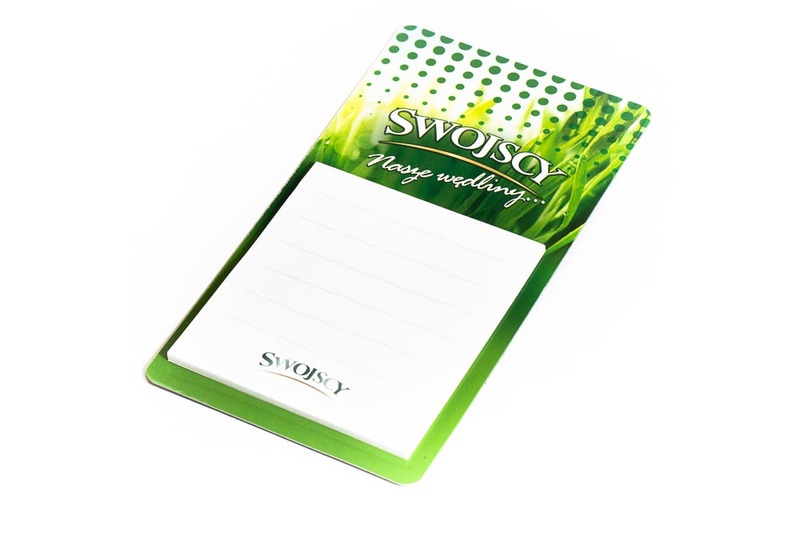 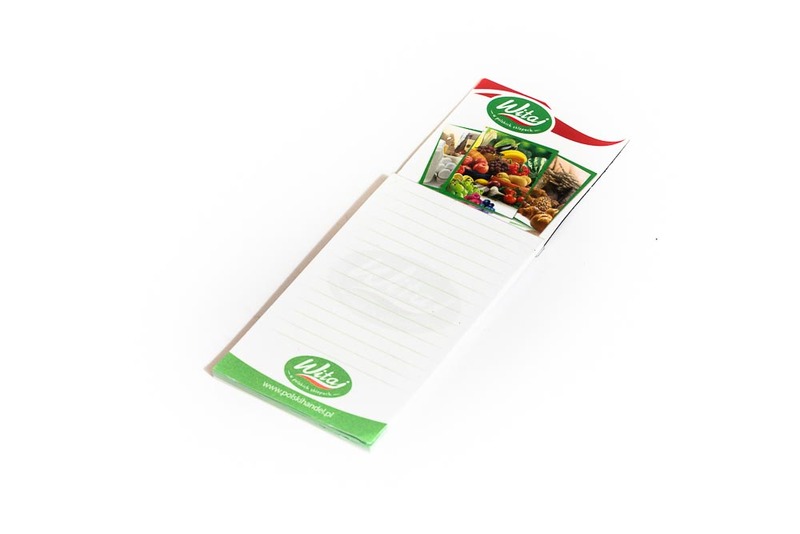 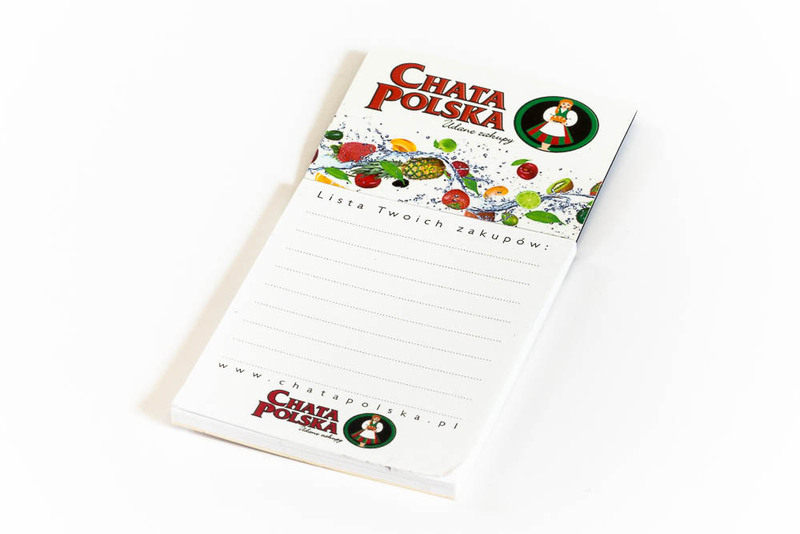 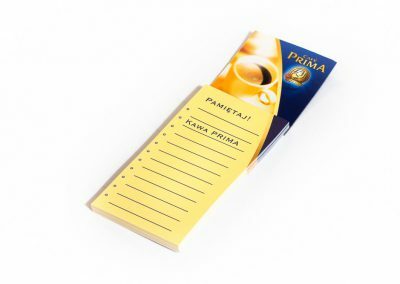 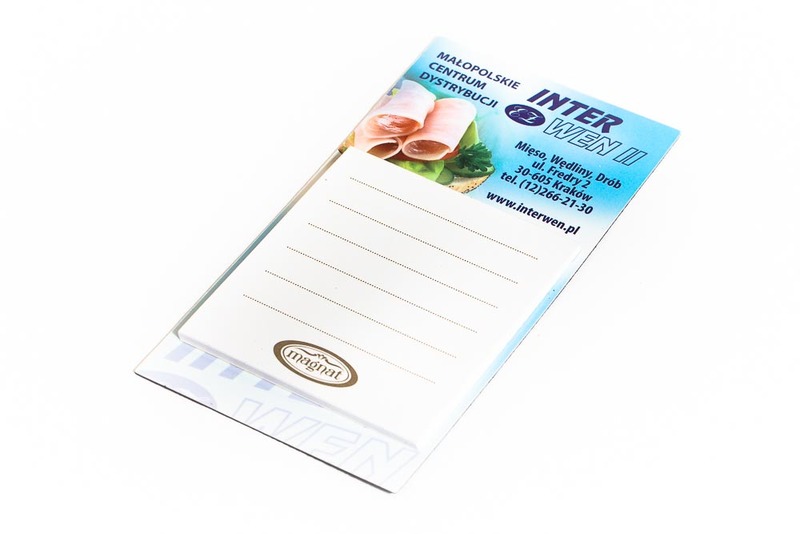 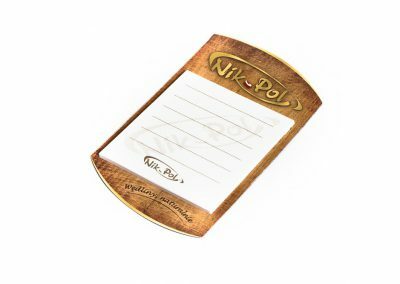 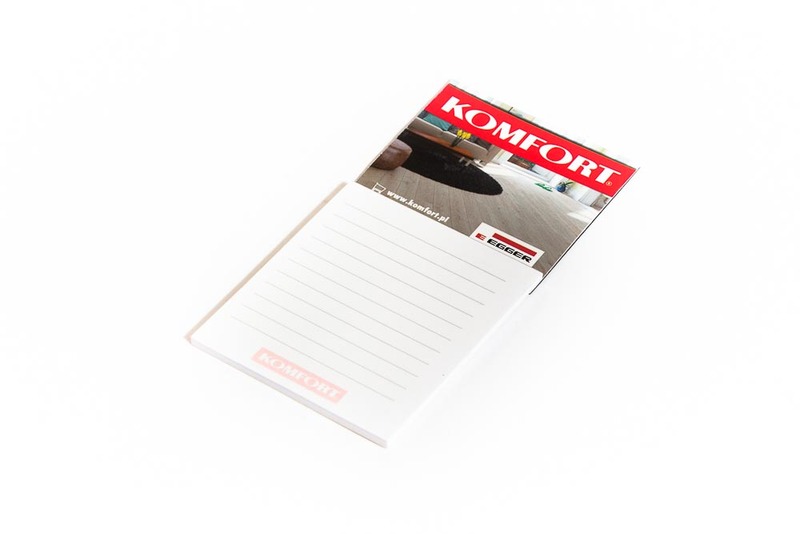 Magnetic notepad is another magnetic gadgets that we can offer our customers in different variants. 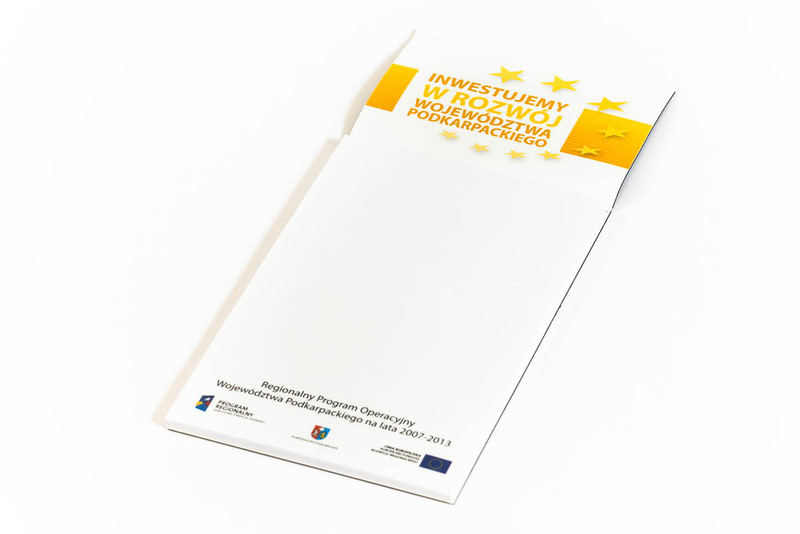 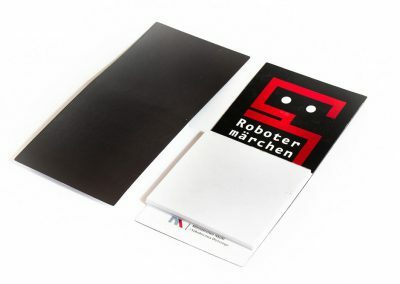 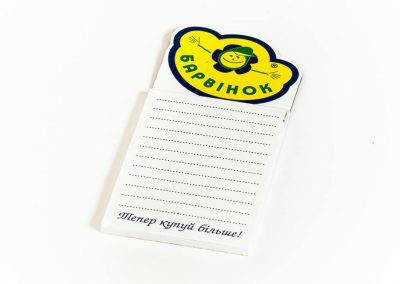 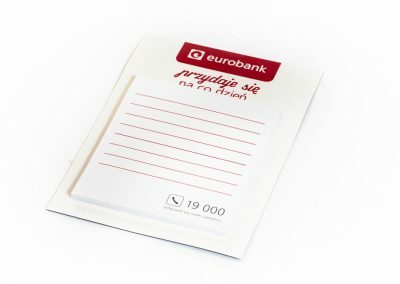 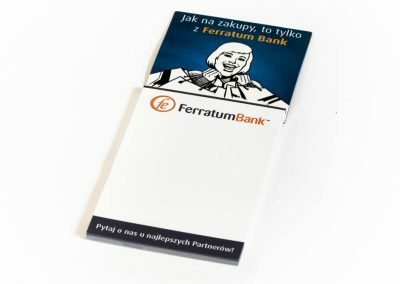 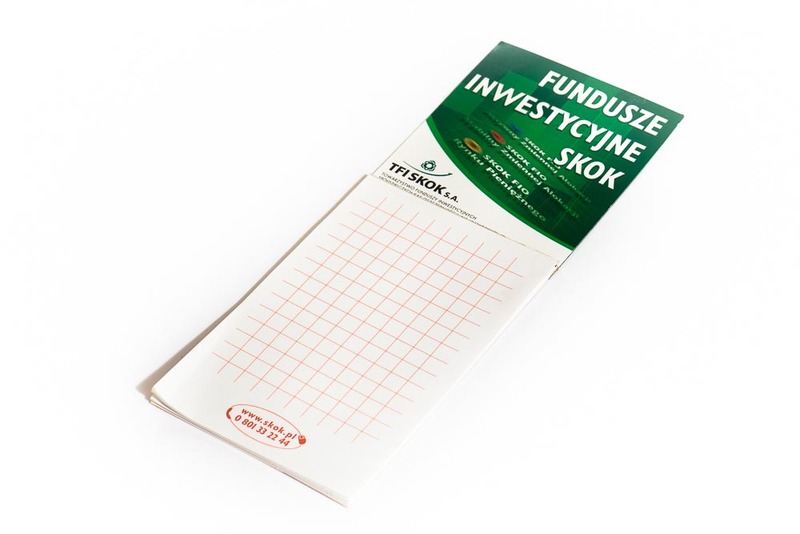 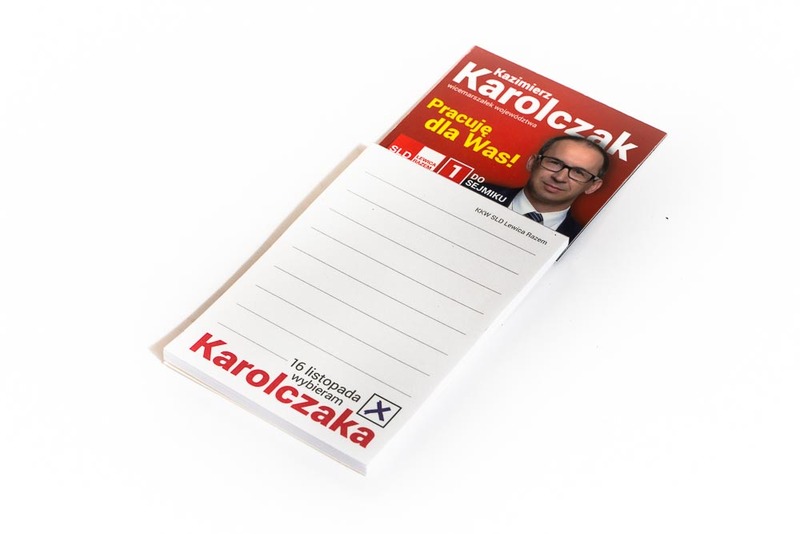 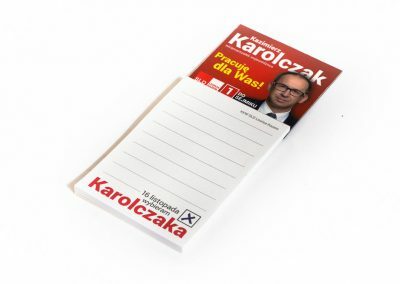 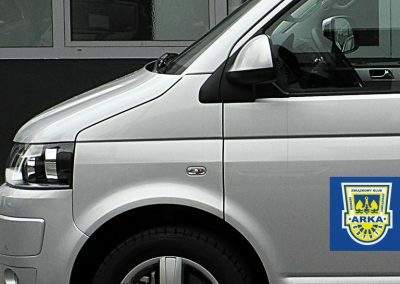 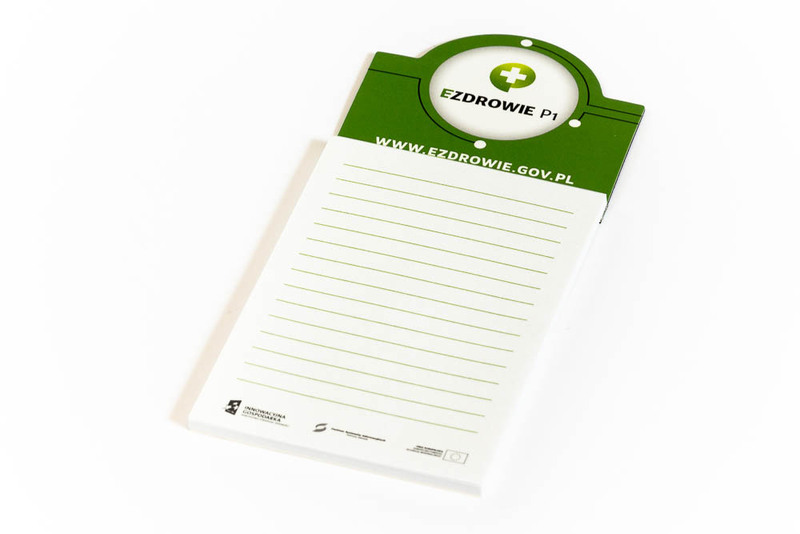 Normally, it is composed from a magnetic top, made of the flexible magnetic foil (generally in thicknesses of 0.4 to 0.7 mm) and a 90 –g offset paper notepad. 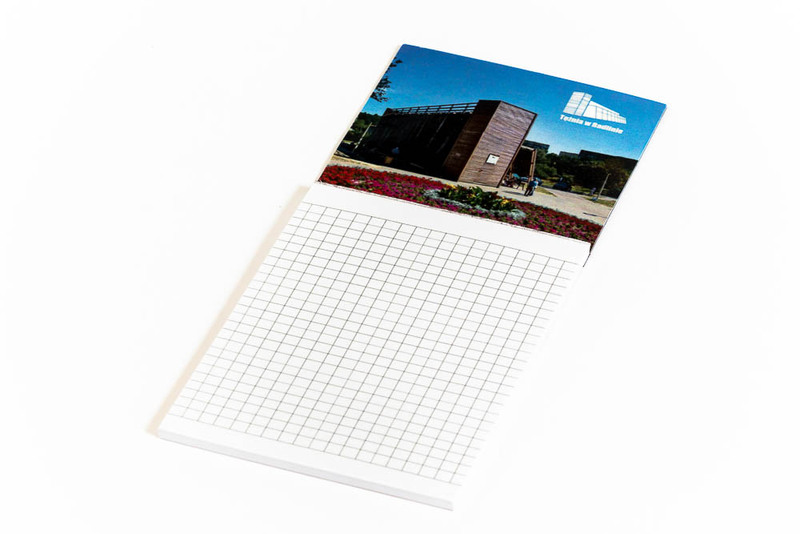 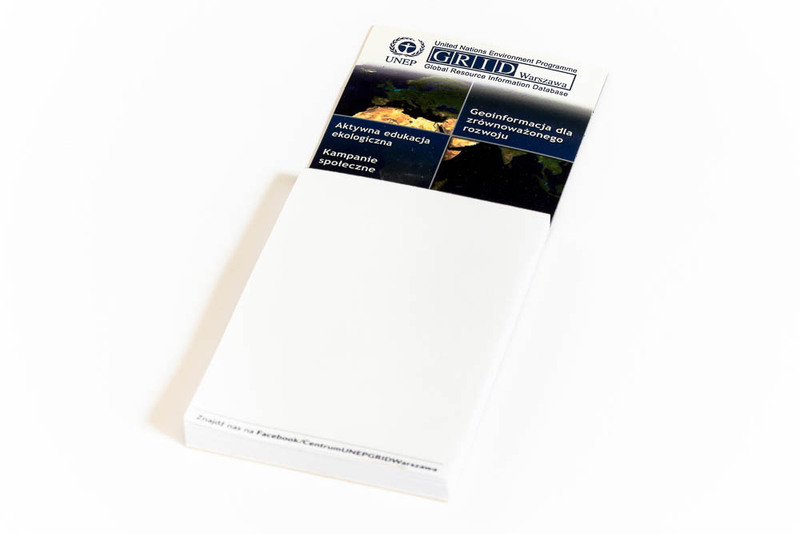 In the basic option notepad contains 25 sheets with full color printing. 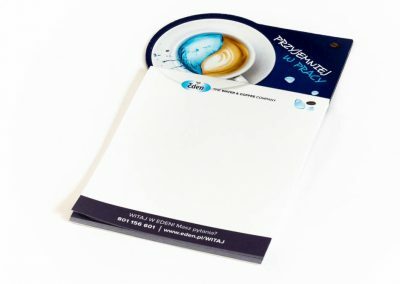 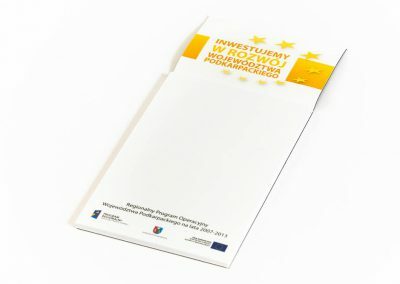 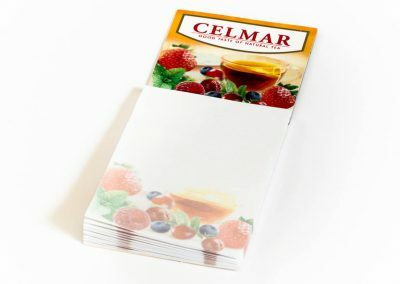 Glossy Impress lamination on the surface of the magnetic top, the high quality white paper, used to produce the notepads and a strong tape gel, used to connect the magnet with a notepad make this gadget 100 % durable resistant to the conditions prevailing in the kitchen – such as a moisture or a high temperature. 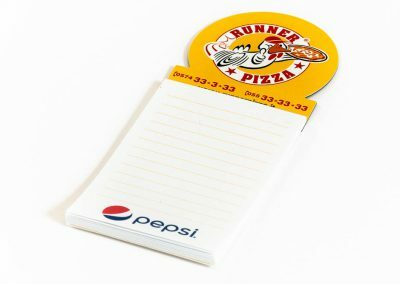 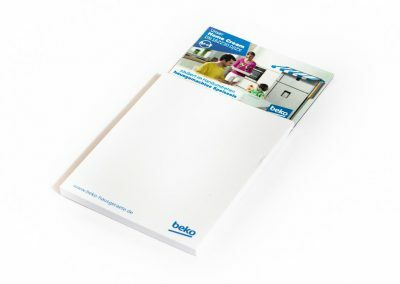 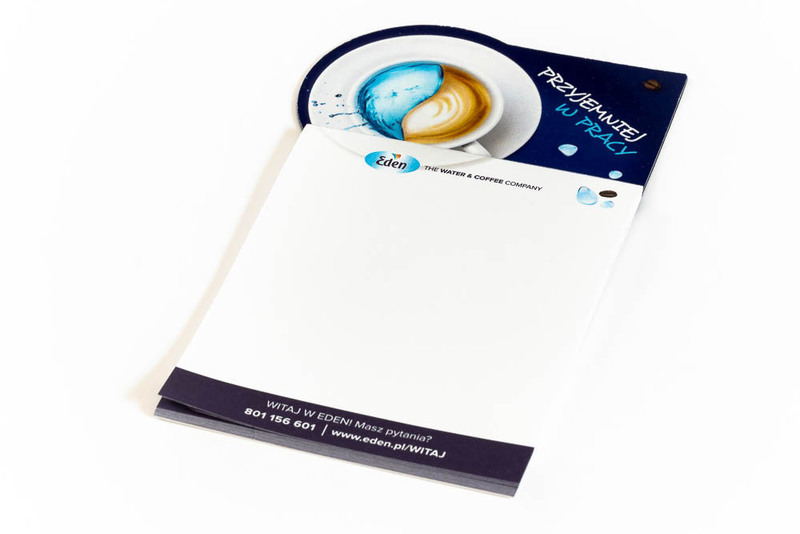 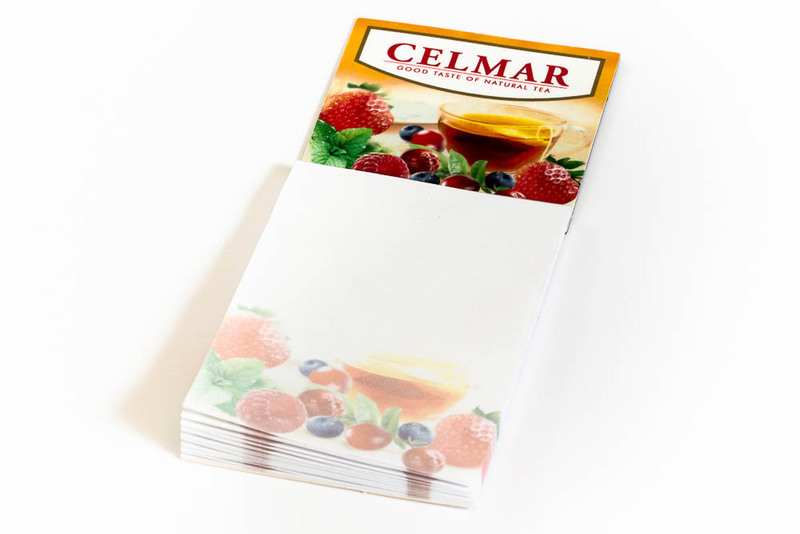 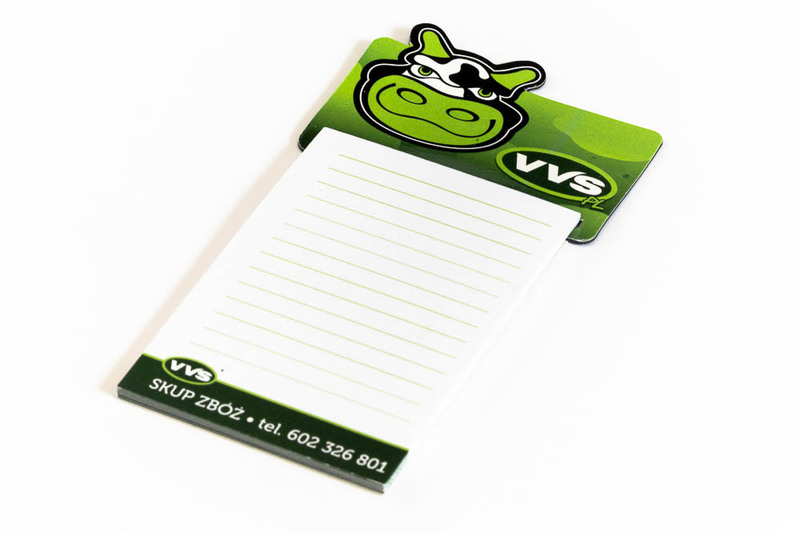 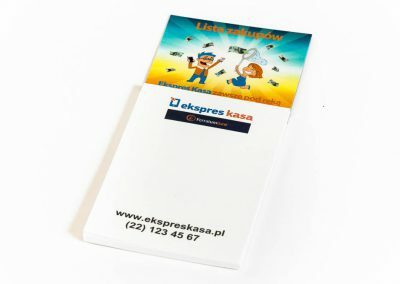 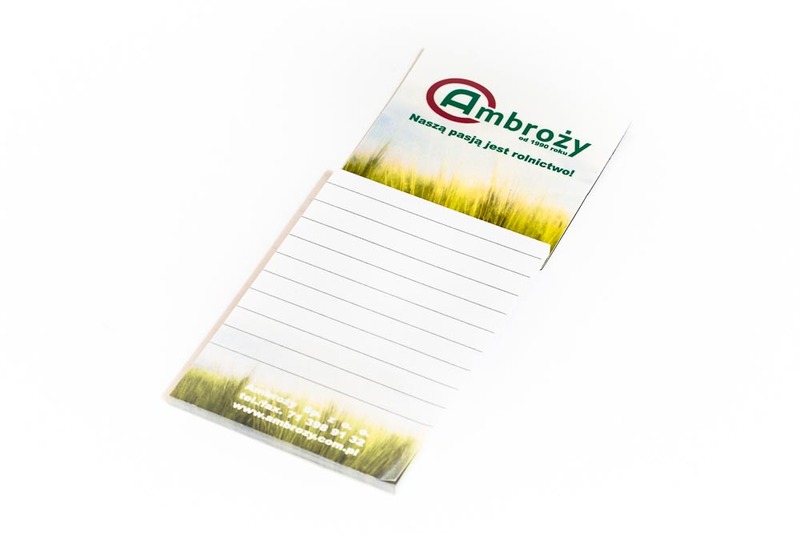 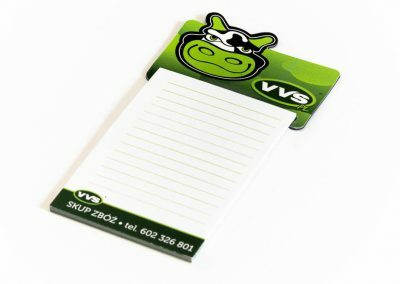 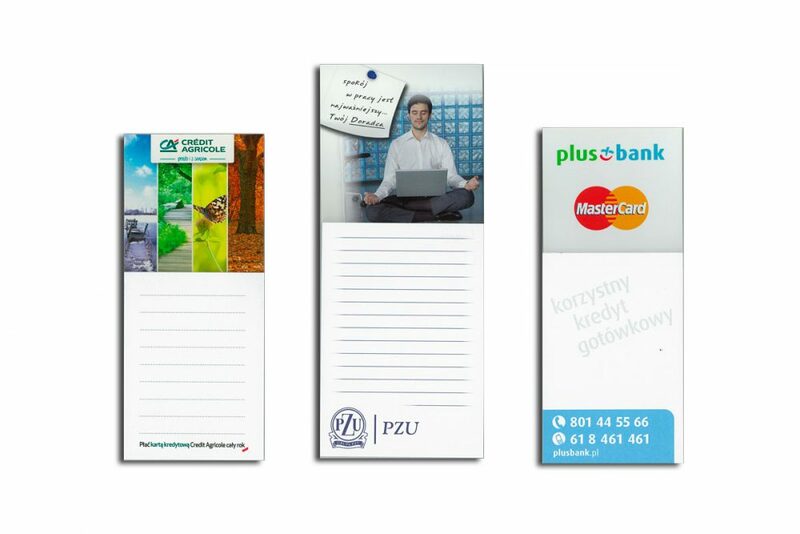 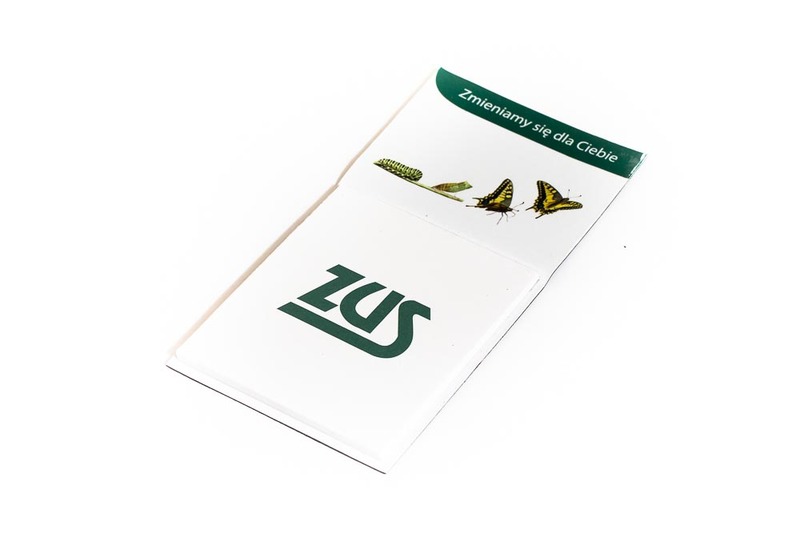 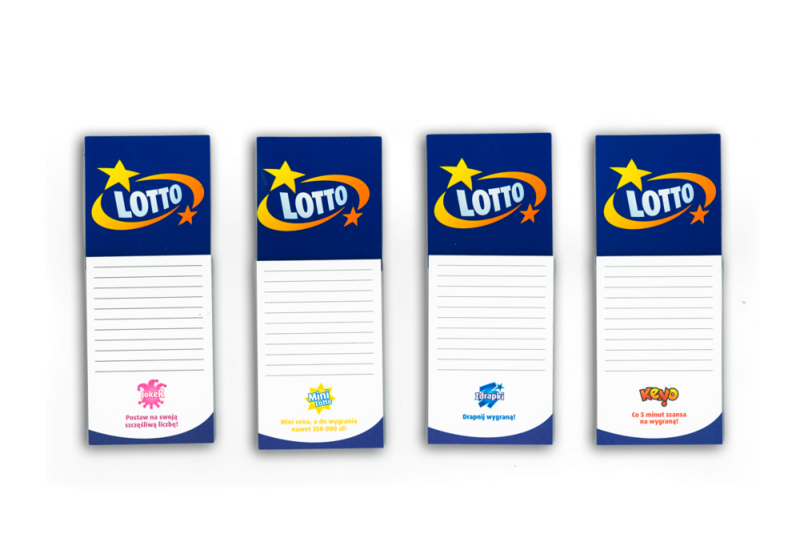 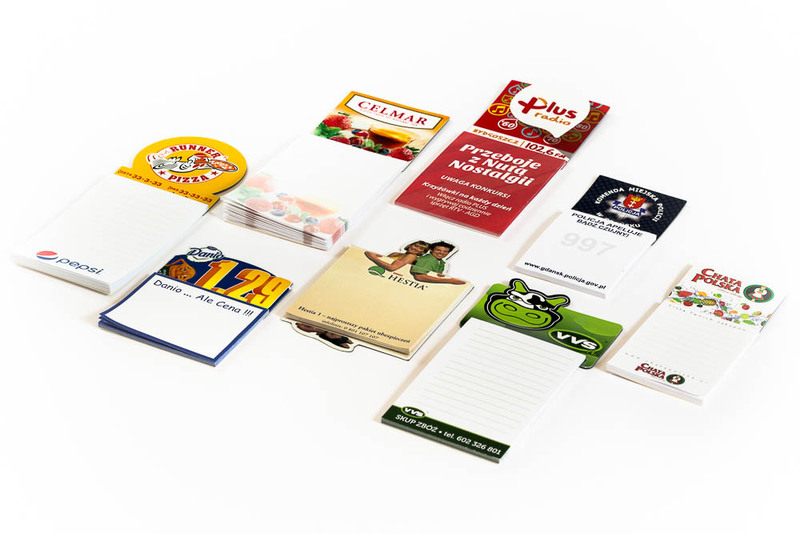 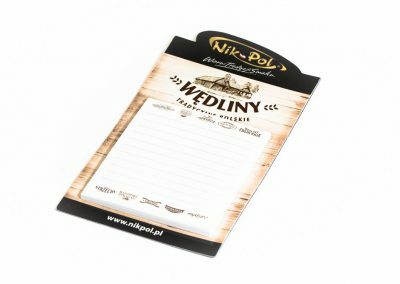 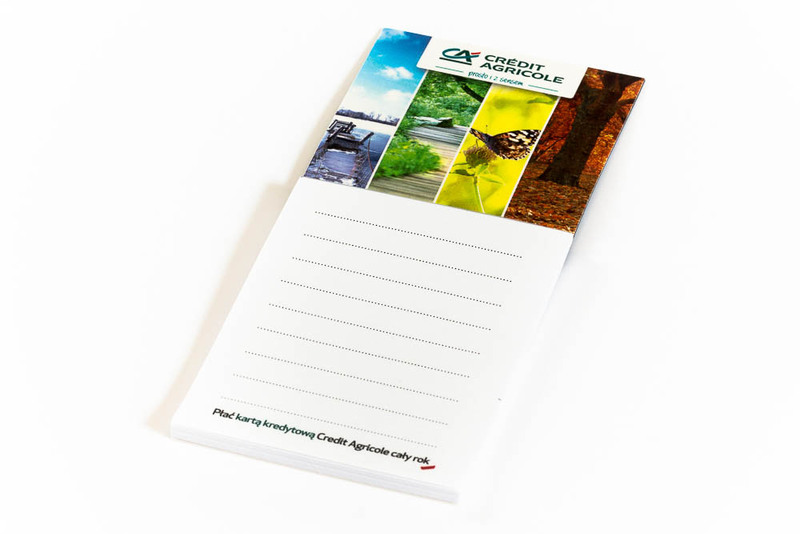 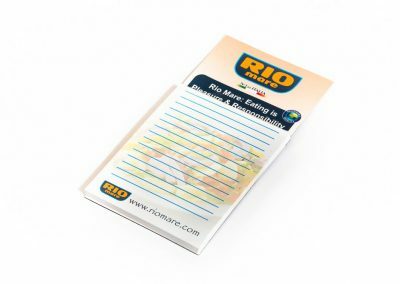 For customers with individually explicit requirements, we recommend notepads with customized magnetic top – a fridge magnet in any shape. You can also adjust the number of pages in the notepad and also the level of printing – full or one color, and even both-sided. 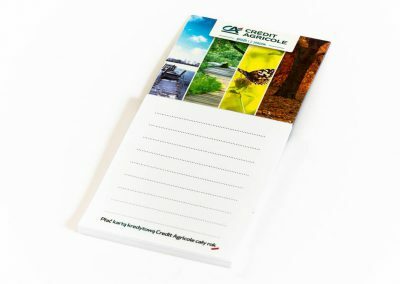 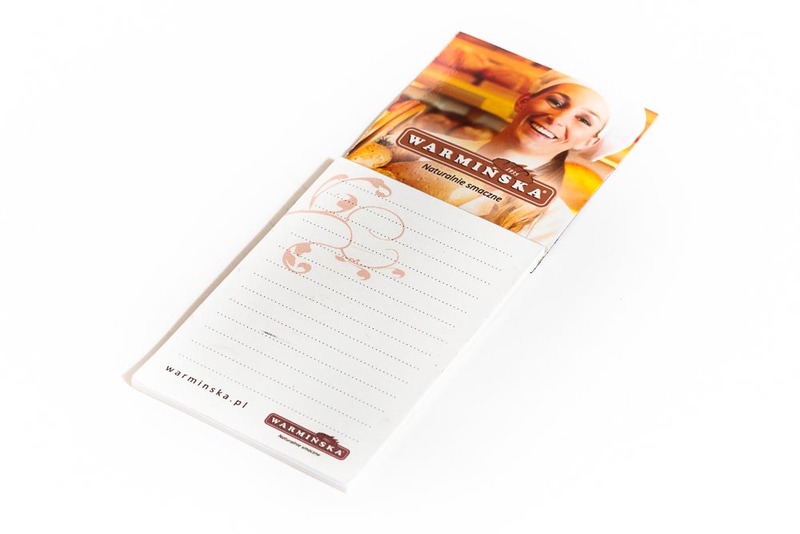 Because our prints are made by using modern printing machines, our customers also have the ability to personalize the notepad – for each card you may find yourself another artwork, which allows you to create your own calendar, a collection of aphorisms and recipes in any number pages and page views. 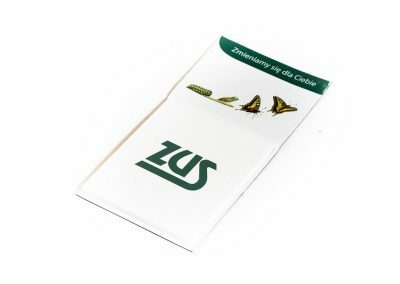 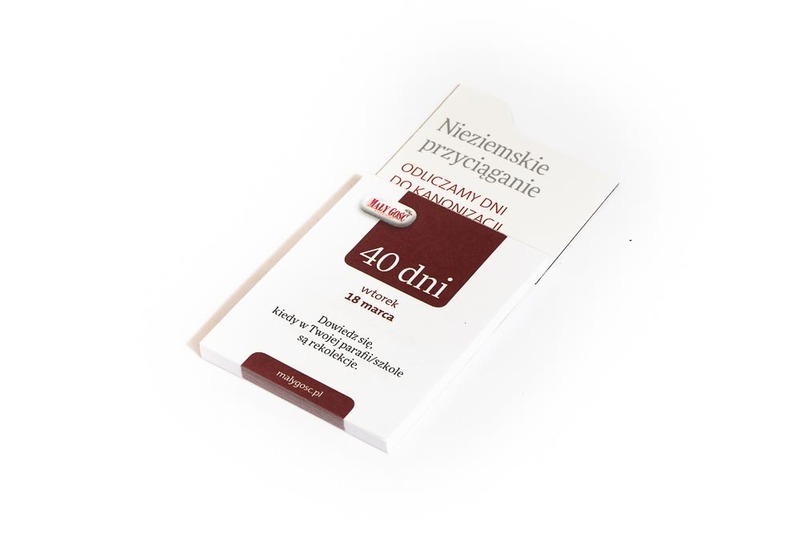 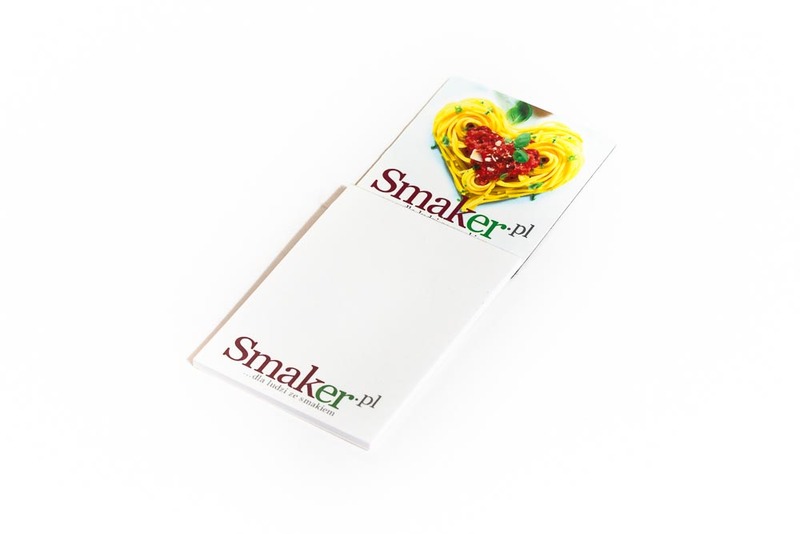 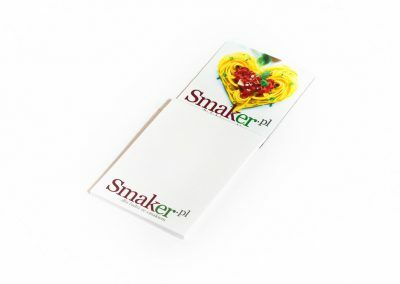 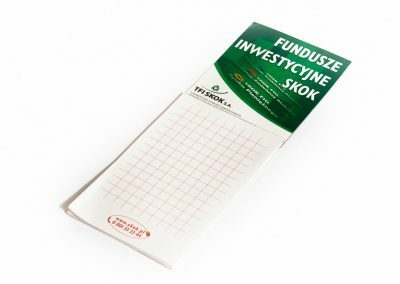 Optionally, we also offer individual packaging of magnetic notepads into polybags with adhesive tab, as well as the packaging according to the quantity or models in order.